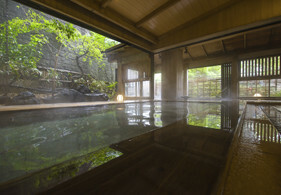 Our authentic Japanese inn warmly welcomes guests and features both "golden" and "silver" hot spring waters. Oyado Tamaki boasts a history of more than 60 years since its founding. Over this time we have developed the three keys to a successful inn—friendliness, elegance, and ambience. 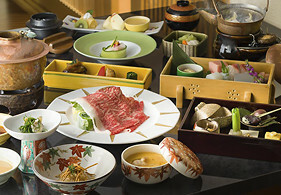 Our policy is to offer a distinctive Japanese setting that is casual and friendly. 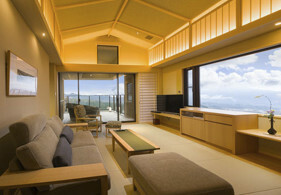 Your home away from home, we are a small ryokan with a big heart that provides great relaxation. All of our rooms are named after trees. Lay down your bags, kick back, and enjoy. Ikaho Onsen is one of the leading hot spring areas of Japan, with healing waters that are gentle on the skin and which warm one's body to the core. Exquisite cuisine made with the freshest seasonal ingredients. Unforgettable meals prepared with care. Learn about Oyado Tamaki and get a taste for the experience we offer.